The online mobile art community iPhoneArt.com (IPA) was first conceived in 2009 by Nathaniel Park and Daria Polichetti, veterans of the Hollywood visual effects industry. Daria and Nate worked for many years with directors, cinematographers and VFX artists on storyboards, concept art, and final effects for films, TV shows and titles sequences. Then they started to notice something new. A slow stream of intriguing new images came across their screens and into the world of visual effects, storyboards and concept art. But these images and illustrations were not generated in Flame, Nuke, Maya or Shake. In fact they weren’t even created in Photoshop. As hard as it was to believe, these tiny gems had been made on someone’s phone. And that’s where the idea began. Before iPhones took over Flickr. Before the iPad had been produced. Before Instagram had even been conceived—they purchased the domain iPhoneArt.com for $500, put up a no-budget site and invited people to share their mobile phone creations. This shoestring experiment came online at the end of 2010. At first, just a few images went up here and there. Over time, the site began to percolate. Artists began talking. And sharing. And people showed up from all around the world. By 2014, more than 200,000 works of art were on view at IPA. 10,000 artists, 50% international from nearly 50 countries, including most of the leading mobile artists in this new niche industry were represented at IPA. In fact many mobile artist launched their careers right here. 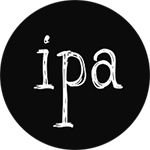 Over time, it became clear that competing with the likes of Flickr and Instagram was not sustainable, but here at IPA we remain proud of all we accomplished together over the years. By 2014, IPA stopped accepting artists and works and the community has now come offline. IPA has since transitioned from a photo-sharing network to an organization focused on real-world exhibitions. We have also launched a high-end print shop, Print Vogue, which caters to all artists, and is particularly savvy with regard to the special printing needs of mobile art. For more information about IPA, what we accomplished and how to stay connected as we move in our new direction, please take a look at our LA MAFIA post: a summary of IPAs LA Mobile Arts Festival of International Artists, the largest mobile art exhibition to date; our Print Vogue post, detailing the unique alternative materials we now offer to bring your mobile art creations offline and into the real world; and our Join Us page, so you can sign up for our newsletter and keep up to date with printing discounts, exhibition opportunities and more. Finally, we’d like to offer our heart-felt thanks to all the artists who joined the IPA family over the years and helped make this community so special. We hope you will stay in touch and join us in our new adventures.